It creates a local cache of all the packages that you ever installed. Because of that local cache, installing and restoring packages becomes a lot faster. This also enables you to work offline if needed. It also adds a yarn.lock file to your repository. This includes all the packages including their version, tarball name and file hash. Because of that file, Yarn ensures that an install that worked on one device, also works on another device. Make sure to commit this file to your source control repository. This is also possible with NPM by using npm shrinkwrap, but it is a lesser known feature to a lot of developers. Yarn does that automatically for you. NPM does all of the work per package and sequentially. Yarn on the other hand downloads as many packages as it can in parallel, thereby increasing installation times. I haven’t done exact benchmarks yet, but it ranges from about 1.2x to up to 10x faster installations. Yarn is consistently faster than NPM. As you can see there is no need to explicitly save your package to the package.json file with Yarn. This prevents you from having local installs of packages, that are not available when another developer or the build server picks up your repository, causing the build to break. Is yarn here to stay? Well, this is a rather hard question to answer. We’ve all seen what happened with the Node.js and io.js fork. In the end Node.js was improved because of the changes that io.js made in their fork. NPM might go down the same path and learn from Facebook’s implementation. They might resolve some (or all) of the shortcomings that Facebook addresses, therefore making Yarn obsolete again. But I guess that won’t happen anytime soon. 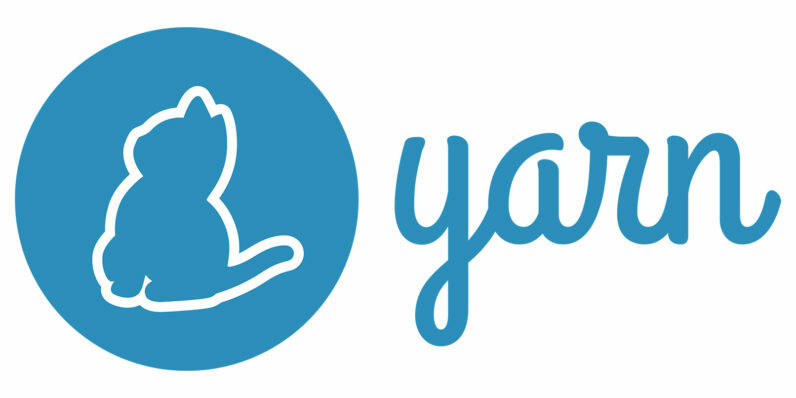 Since Yarn is very easy to pick up, a lot of developers are able to give Yarn a try in a project in less than 5 minutes. You’ll be amazed of the differences in installation speed and clean output. Previous Previous post: Xamarin University: worth it?